Plantar fascia loading, an added exercise. Plantar heel pain is a common and debilitating condition. South West Podiatry are committed to helping more people and dedicating our time to education and promoting foot health. In this series of blogs, we discuss one of the most common form of foot pain for the general population and over the next few weeks we will discuss the signs and symptoms of plantar fasciitis/plantar heel pain. It has been reported that up to 20 % of the population within the UK will suffer from symptoms of plantar fasciitis. This is generally of varying degrees and plantar fasciitis can be one of the most debilitating conditions of the foot and ankle. In part 4 we discussed the excellent work by Rathleff et al and showed you how to complete a simple plantar fascia loading programme under guidance from your podiatrist. 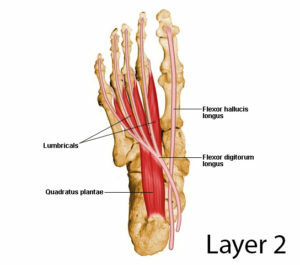 Plantar fascia pain is common and when you start to read about plantar fasciitis, you start to appreciate the complexity of the foot and ankle. One of the common comments we hear in clinic is ” I didn’t appreciate my feet until they started to hurt “. Well, with over 26 bones, 33 joints, 100 + muscles, tendons and ligaments, not to mention a large network of blood vessels, nerves and skin. You start to appreciate that the foot is more complex than two blocks of wood at the end of your body. There is a growing body of research in the field of building intrinsic muscle strength of the feet to help a wide range of foot and ankle conditions, including plantar fasciitis. 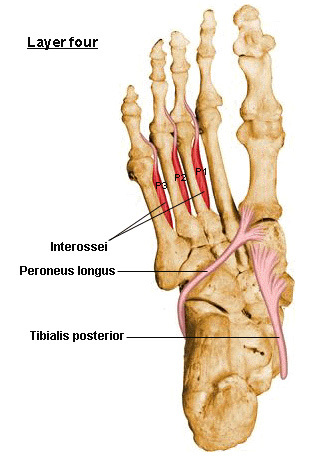 With around 19 true intrinsic foot muscles and 4 layers of intrinsic muscles of the feet, its no surprise that when we train these muscles, symptoms of pain reduce. South West Podiatry has excellent results and outcomes for a wide range of conditions when we work with you to train and condition these smaller, intrinsic muscles of the feet. 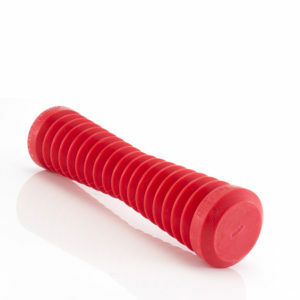 There are many ways of conditioning these muscles, but one of our favourite methods is an exercise called ” toe curls “. 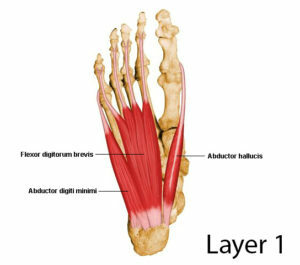 The aim is to engage the muscles on the bottom of the feet, spreading the toes and improving strength. Check the video out below. Want to know how to improve the intrinsic muscles of the feet ? When would you strap the plantar fascia? Within the last few blogs, we have discussed stretching the calf complex, loading the calf and plantar fascia and self / assisted massage. These exercises should guided by your podiatrist as some of the exercises will be more suitable than others which would depend on the severity of your plantar fascia symptoms. Would you like to know how to strap your foot to see if orthotics can help? Plantar heel pain is a common and debilitating condition. South West Podiatry are committed to helping more people and dedicating our time to education and promoting foot health. In this series of blogs, we discuss one of the most common forms of foot pain for the general population and over the next few weeks we will discuss the signs and symptoms of plantar fasciitis/plantar heel pain. It has been reported that up to 20 % of the population within the UK will suffer from symptoms of plantar fasciitis. This is generally of varying degrees and plantar fasciitis can be one of the most debilitating conditions of the foot and ankle. In parts 1 and 2 we discussed how to stretch the gastrocnemius and soleus muscles. 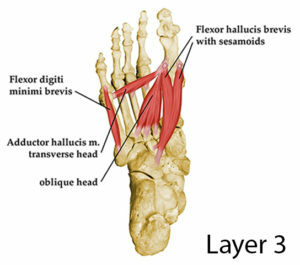 Within part 3 we will also show you how to stretch the plantar fascia. Stretching, massaging and moving the fascia layers can significantly help to reduce arch and heel pain caused by plantar fasciitis. Self or assisted massage can release tension within the tissues under the arch, help to break down muscle knots and provides some short term pain relief. Foot mobilisation therapy ( FMT ) and Tool assisted massage works in a similar way by releasing stiff joints of the foot and ankle whilst the tool assisted massage breaks down tissues to promote healing. It is also thought to decrease sensitivity in the arch by influencing C nerve fibres which are responsible for causing hypersensitivity and increased pain in a specific location of the body. Stretching the calf complex and plantar fascial layers like in rehabilitation video’s parts; 1,2 and 3 will significantly improve tolerance and therefore your compliance of the next rehabilitation video which is similar to the Rathleff et al research. The podiatrist will guide you through the exercise and discuss with you, when your lower legs are ready to tolerate this exercise. Plantar fasciitis is a common and debilitating condition. South West Podiatry are committed to helping more people and dedicating our time to education and promoting foot health. In this series of blogs, we discuss one of the most common form of foot pain for the general population and over the next few weeks we will discuss the signs and symptoms of plantar fasciitis. It has been reported that up to 20 % of the population within the UK will suffer from symptoms of plantar fasciitis. This is generally of varying degrees and plantar fasciitis can be one of the most debilitating conditions of the foot and ankle. This weeks part 1 rehabilitation tool looked at a simple calf stretch for a large calf muscle. In part 1 of our free exercises which can help improve calf flexibility and decrease symptoms of heel pain/arch pain, we now look at the other muscle of the calf. 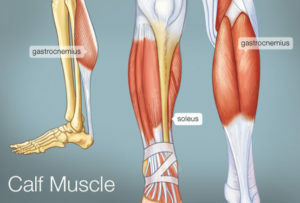 We have two main muscles within the calf, one called the gastrocnemius and the other called the soleus. 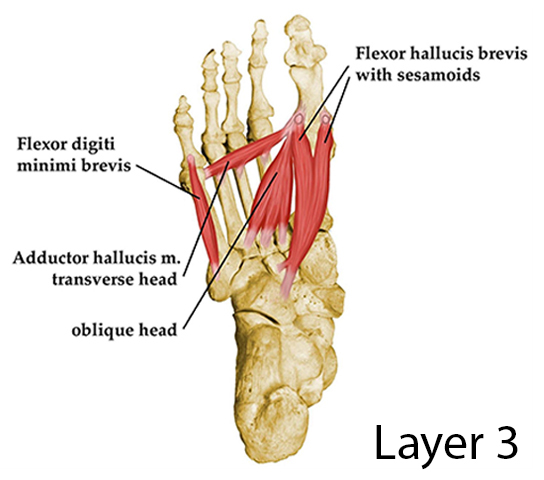 Both these muscles form part of the Achilles tendon and insert into the back of the heel. As you already know from part 1, 50 % of patients have tight calf’s associated with plantar fasciitis so it would help to stretch the second largest muscle within the calf complex under guidance from your podiatrist. 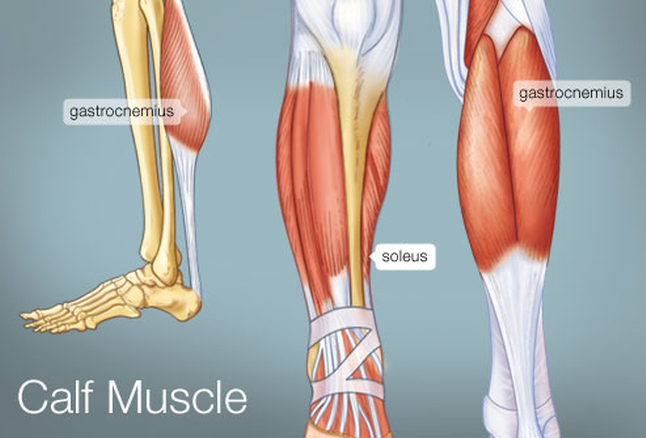 The soleus is a smaller muscle but plays a large role in calf flexibility. The most common cause of plantar heel pain ( fasciitis/fasciopathy ) relates to faulty structure of the foot and overuse. For example, people who have problems with their arches, either flexible overly flat feet or high-arched feet, are more prone to developing plantar heel pain. Wearing non-supportive footwear on hard, flat surfaces puts abnormal strain on the plantar fascia and can also lead to plantar fasciitis. This is particularly evident when one’s job requires long hours on the feet. Obesity may also contribute to plantar fasciitis. It is also a very common running and sporting injury. Symptoms are often described as painful when you get up in the morning or after sitting for long periods of time. After a few minutes of walking the pain decreases, because walking stretches the fascia. For some people the pain subsides but returns after spending long periods of time on their feet. Foot pain in the ball of the foot, or shooting pain in the toes. 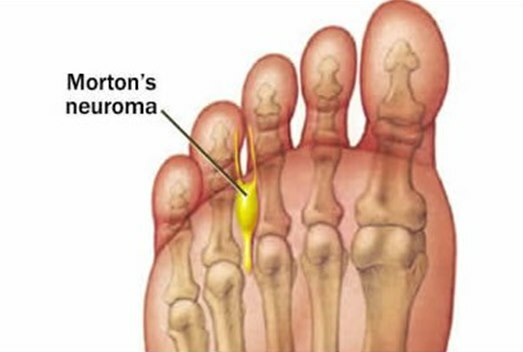 One of the most common diagnosis of these symptoms is a neuroma http://www.swpodiatry.co.uk/common-conditions/neuroma/. New Podiatry clinic online booking platform is now available for Wimbledon, Maidenhead and Earlsfield. South West Podiatry value your experience whilst under our care and we aspire to offer you the latest technology to exceed in customer service. We appreciate that within London, it is difficult to telephone your foot specialist team to book an appointment to resolve your foot pain. We have some excellent news to share with you ! We have a very easy to use online booking platform available. You can search for available appointments and book an appointment within 60 seconds. We look forward to seeing you soon within one of our locations. Wimbledon Podiatry clinic is situated within 30 seconds walk of Wimbledon main train station. We are a Private Podiatry practice located in the heart of Wimbledon, with convenient transport links to London Waterloo, Clapham, Putney and Wandsworth Town. Enjoy easy access to the Wimbledon Podiatry clinic within walking distance of Wimbledon station, metro and within the centre of Wimbledon town. Two free car parking spaces are available all day for patient use and free street parking is also available outside the clinic after 6:30 PM. At our Wimbledon location there is disabled access to our clinic room without steps and full reception cover to welcome you into our clinic. Whether you have an ingrowing toe nail or a long history of heel pain, our experienced podiatry team will discuss your treatment plan and fully explain your care within South West Podiatry. We have a full range of foot and ankle treatments to offer at this location including shock wave therapy (ESWT). Running and walking assessment and full Biomechanical/ Gait analysis . Infra red pressure analysis and 3D scanning is utilised at all our locations to assess walking, running and foot pain. Custom made orthotics / insoles are manufactured as part of a treatment plan at all of our locations ; Maidenhead, Earlsfield and Wimbledon. Our Foot specialist team can request imaging to aid diagnosis. X-Ray, ultrasound and MRI can be useful in diagnosing and managing foot and ankle conditions. Where appropriate, steroid injections can be administered at Wimbledon or Maidenhead.